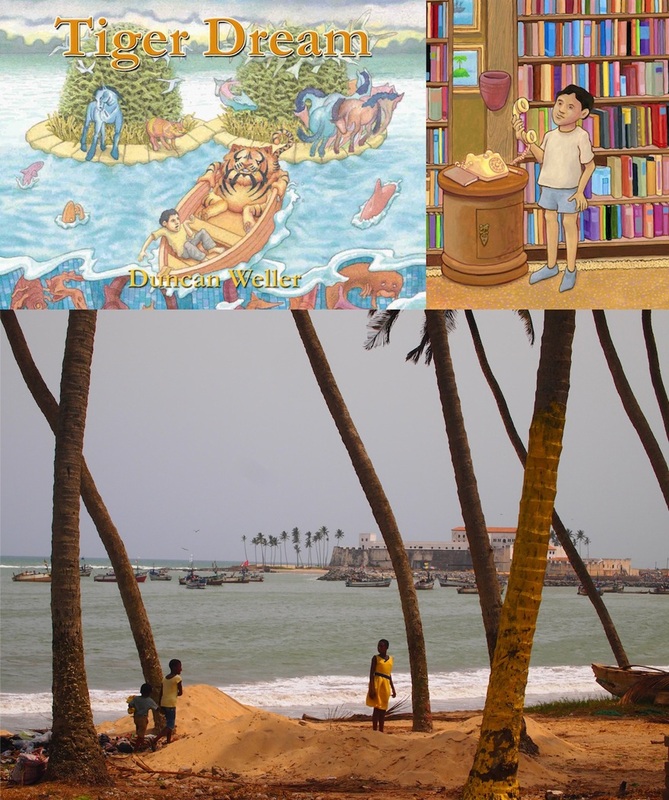 Thanks to the Ontario Arts Council and the Chalmer’s Fellowship Award, I was able to visit Accra and Elmina in Ghana, where I did research for an upcoming children’s picture book – Tiger Dream. (The tiger in the story is from a North American zoo.) Please go to “Africa Blog” on my website (www.duncanweller.com) to see images from this trip, and how the trip and research applies to the book. At some point the “Africa Blog” will turn into the “Tiger Dream” blog. The blog will detail how ideas for the story and imagery are created, and how research for the story will apply. ~ by Duncan Weller on May 29, 2012.